The weather is warming up and summer is upon us in the southern hemisphere. The silky oaks, jacarandas and flame trees are in bloom painting the landscape of Brisbane in a carpet of gold, red and purple. 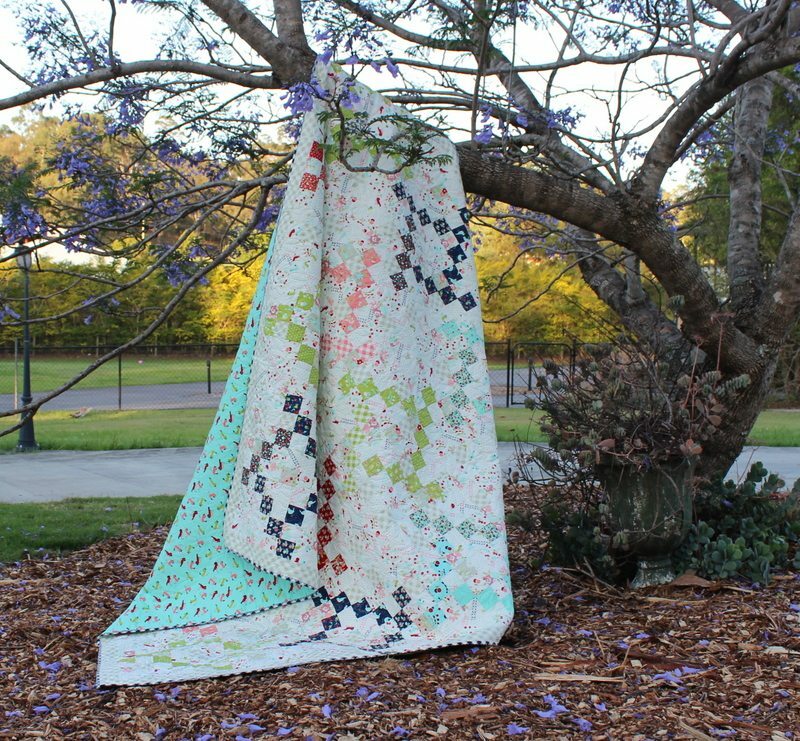 Summer Picnic is a quilt made with one Vintage Picnic Jelly Roll and low volume prints from the same collection by Bonnie and Camille for Moda. Vintage picnic has a summery and fresh palette of Navy, red, aqua, coral pink and spring green which abound in dots, ginghams, cross stitch, cherries, flowers and the cutest birds. 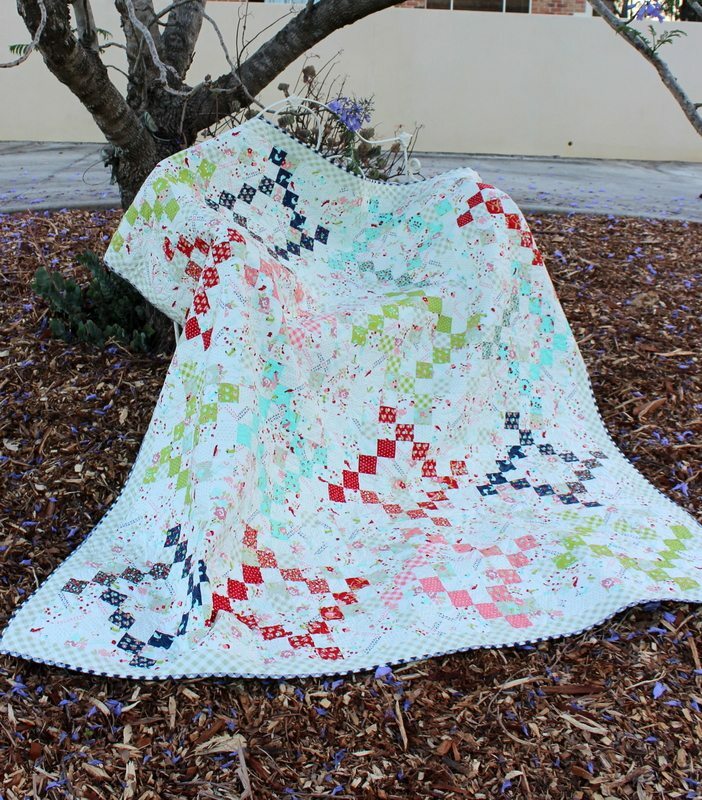 An easy pattern made entirely from 2 1/2″ squares, perfect for the confident beginner. Finishing at 76 1/2″ x 76 1/2″ it makes a lovely lounge or bed quilt. The quilt was finished with a modern daisy pattern using Aurifil 50wt cotton 2311. If you like the pattern contact your local quilt shop to order from Moda United Notions. My little helper hiding behind the quilt holding it up so it would not slip through the branches of the Jacaranda tree. 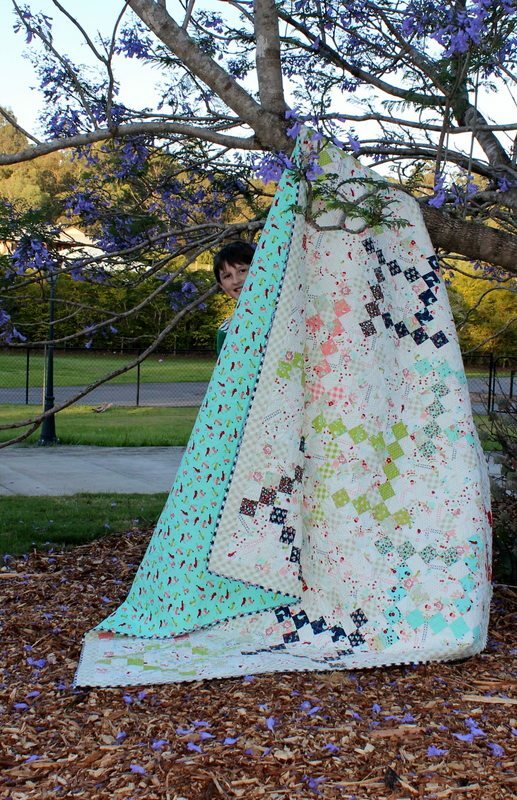 This is such a gorgeous quilt – love the LV background with these pretty fabrics and your photos under the Jacaranda tree are just beautiful! Thank you Kirsten. This is my favourite time of the year. 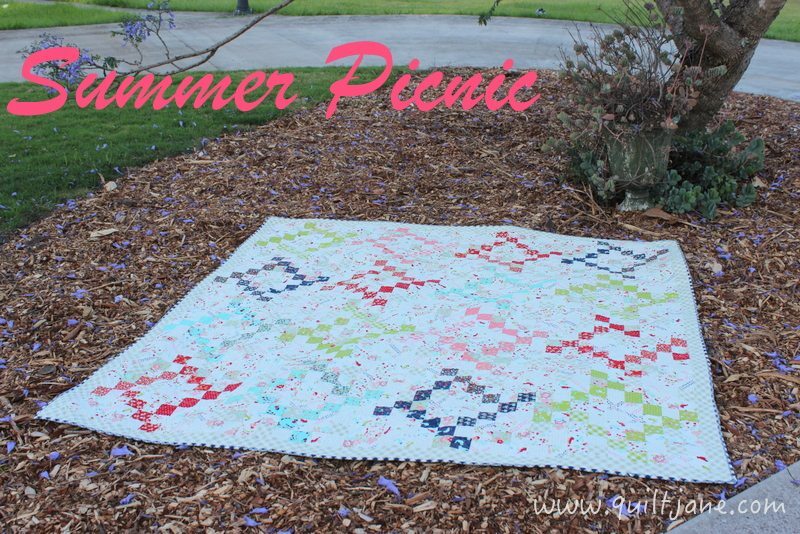 Vintage Picnic has a great selection of LV prints to plat with in a quilt. Thanks Kirsty. He is a happy chappy.